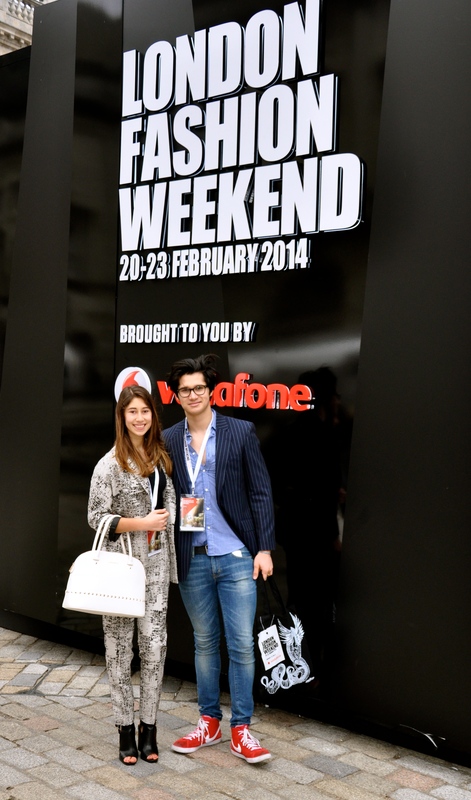 On Sunday the 23rd of February I attended London Fashion Weekend, which was a great experience and more than anything it was informative and a lot of fun! 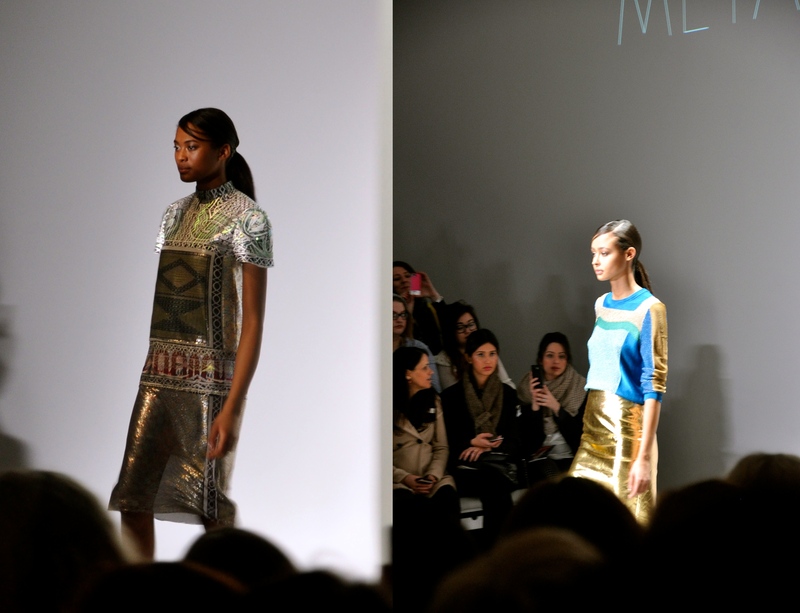 There is plenty to do at LFWEND, so my four hours there seemed to fly by. 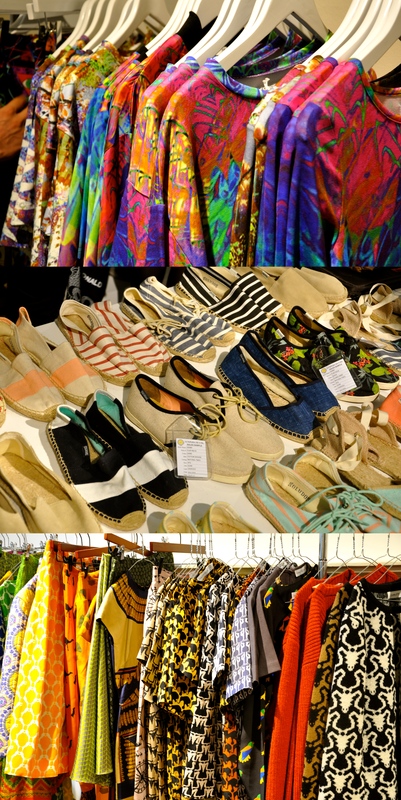 I began my day at 11am at the Somerset House, where the London Fashion Weekend events took place. My first runway show to attend was the TREND, and it was scheduled to take place an hour and a half after my arrival. 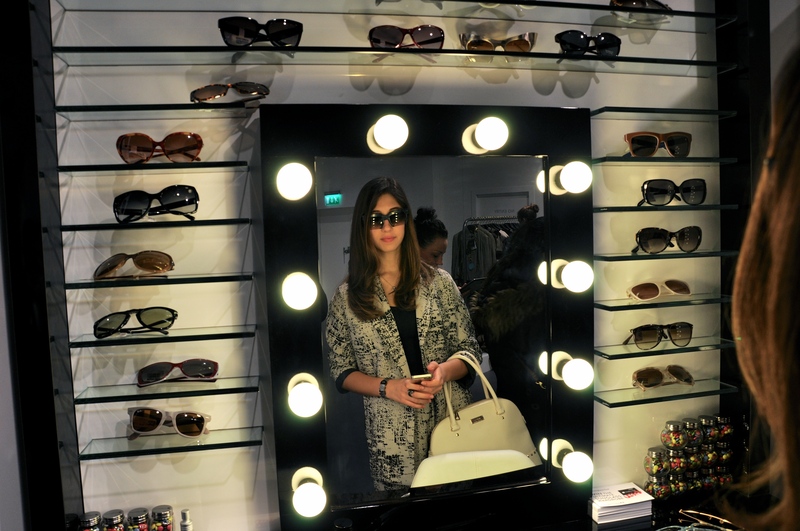 In the meantime my boyfriend, a friend and I walked around and explored, looked through the shops, tried on funky sunglasses.. You know the usual ;) I even got to meet some lovely fashion bloggers! 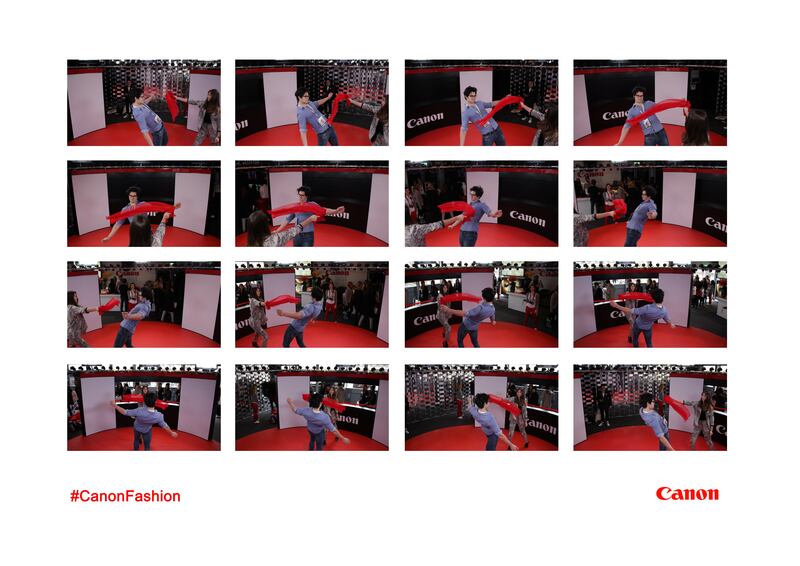 One entertaining event at LFWEND was called Canon Fashion Studio hosted by Canon, where people can get photographed in action by 64 Canon cameras producing a 360° image. This all may sound a bit confusing if you aren’t experts in photography or haven’t tried it out yourself (it was the first time I tried it and I was truly amazed! ), so below I posted my 360° image for you to see. Pretty cool, right? Afterward, it was time for the first fashion show. This was the TREND catwalk, where Spring/Summer 2014 pieces were shown and made by various designers (you can see my video from the runway here). Some of the hottest trends this season include metallics, flowers, lace, and sportswear. 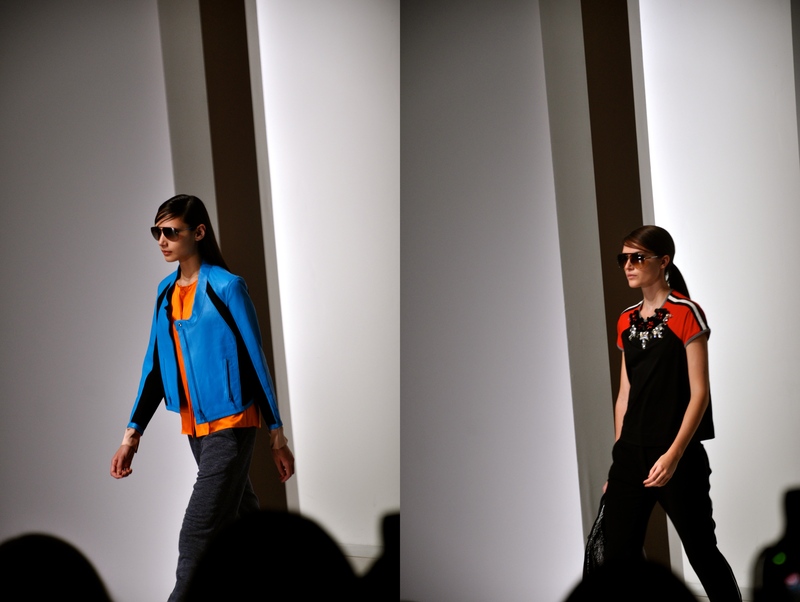 My favorite pieces coming down the runway were a silver-metallic dress, a white lace crop top, and a sport-inspired bright blue motor jacket. 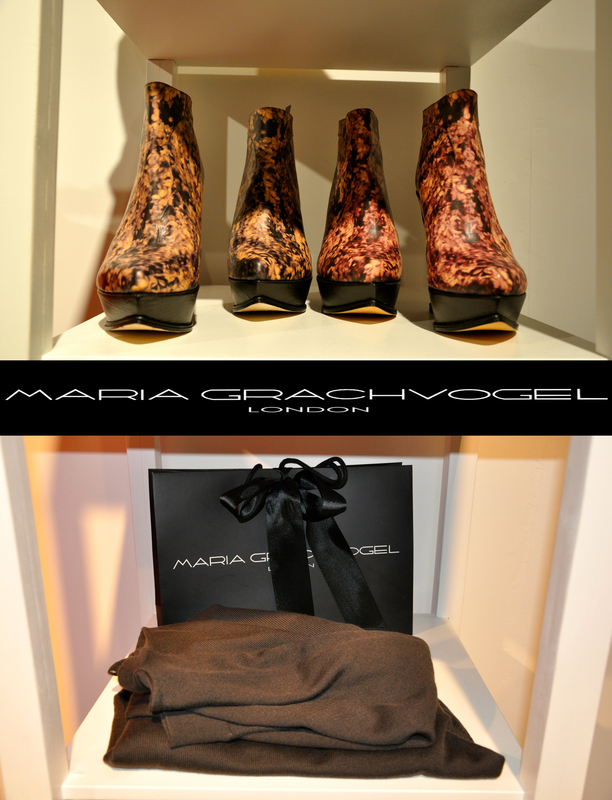 The last event from London Fashion Weekend, and the grand finale to the day, was the Maria Grachvogel DESIGNER catwalk show. It was incredible and really put me in the spring mood. 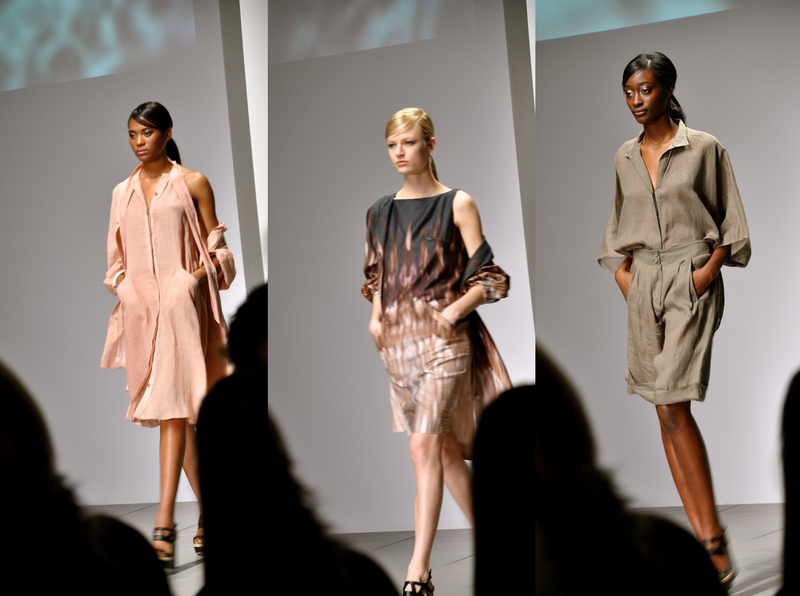 All of her designs had a soft and pastel pallet, and she used light satin material for the clothing: a perfect combination and great for the season! Maria Grachvogel learnt to sew and design on her own when she was very young. She was sketching since a child, and made her first garment at the age of 12! This designer has come far over her career, her signature pieces being form-fitting trousers and jumpsuits (which I absolutely loved, and they looked gorgeous coming down the runway!). Something that I was particularly impressed by about Maria Grachvogel was the fact that she paints her own prints – a true artist! Simply being at London Fashion Weekend brought to me the spring-spirit and made me very excited to push myself further in my passion and in my studies. It’s a truly incredible industry with so many talented people, and I’m looking forward to what’s ahead of me. I WAS WEARING: ASOS FULL SUIT MONOCHROME ABSTRACT, MANGO BAG, ZARA LEATHER HEELS and BCBGENERATION AFFIRMATION BRACELET. This suit is absolutely fabulous! Looks like an amazing experience! Love it babe!! And you look absolutely STUNNING!